FUTA Post UTME Result 2018/2019 | Check Result Online. Did you participated in the just concluded Federal University of Technology, Akure screening exercise for UTME and Direct Entry candidates? If yes, we are happy to tell you that the results of Direct Entry and UTME candidates that participated in the screening exercise are out. 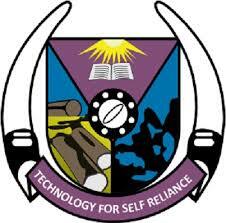 FUTA post UTME and Direct Entry screening exercise results have been successfully uploaded online. Click on the SUBMIT button to check your scores.